Twin Sister remind me of cold winters mornings, leaving home too early, bus journeys but also of discos and when I fell in love with Feist's Let it die, it's a pretty but painful record, "Lady Daydream" recalling elements of Broadcast and Stereolab, the lyrics pleading but also comforting "If you can't find the sea I will take you there... Even though I'm losing doesn't make me a loser..." remind me of a time this year when I needed comforting and everything seemed a bit cold. While "All Around and away we go" is playful disco (the video is below) and conjures up old nights at sonic... 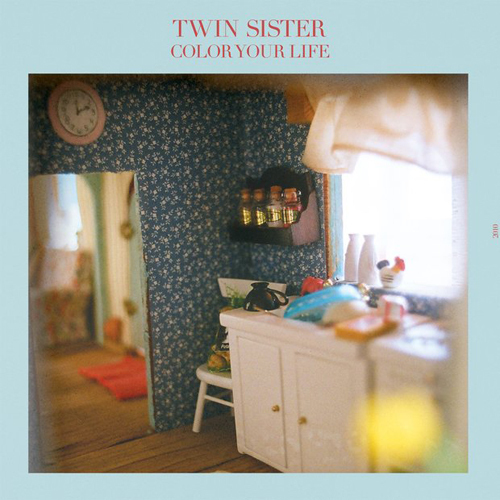 While not genre defining, Twin Sister makes no. 50 because of the feelings in conjures, the musical genre changes in each song, combined through a mutual sonic pattern, a vocal style and a melancholy... there have been a lot of painful records this year but not many had this sense of support and hand holding as superbly as Twin Sister's debut double.